Armie Hammer Joins Gal Gadot In Comically Attractive Death On The Nile RemakeThe next chapter in Hercule Poirot’s crime solving chronicles. Wonder Woman 1984 Casts Natasha Rothwell From HBO’s InsecureWe hope she gets a fanny pack, too. Wonder Woman 1984: Everything We Saw at Comic-ConIncluding some exclusive footage. Chris Pine’s Fanny Pack Is My New Sexual OrientationHave you seen it? Kristen Wiig Might Play the Villain in Wonder Woman 2She’s reportedly in talks to play Cheetah. Critics on Justice League: At Least It’s Not Batman v SupermanAt best, it is portrayed as a fun, easy throwaway, and at worst, an incoherent and weak attempt to match Marvel’s Avengers. Justice League Tries to Lighten Up the DCU, But Droops InsteadIt’s as if the actors know they’re coming from behind. Gal Gadot Will Exit Wonder Woman Universe Unless Brett Ratner Is FiredRatner has been accused by multiple women of sexual harassment this month. SNL Takes a Lighthearted Approach to Nuclear War in a Cut For Time SketchGal Gadot takes Kyle Mooney and Beck Bennett’s last french fry just as the missiles go off. The World Is Falling Apart in the New Justice League TrailerWe’re only one month away now. This October You Can Stop Waiting for Gadot, and Also Nanjiani, to Host SNLSam Smith and Pink will be the musical guests. Patty Jenkins Reportedly Closing a Deal to Direct Wonder Woman 2The director was reportedly holding out for a much, much bigger payday. Wonder Woman Sequel Gets an Official December 2019 Release DateYou’ve got two years to get properly hyped. Why Gal Gadot Was Paid Only $300,000 for Wonder WomanDespite reports, Henry Cavill probably didn’t earn much more for Man of Steel. 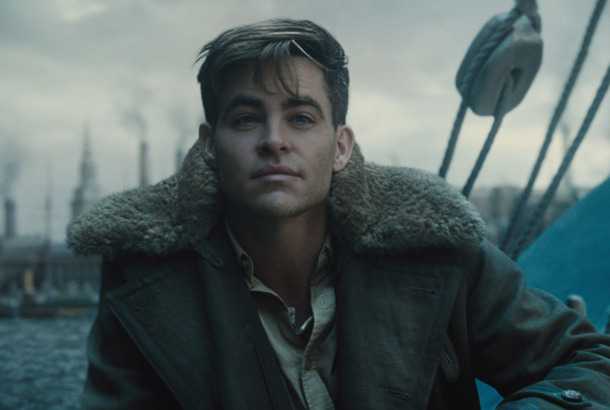 Which Wonder Woman Costume Was Your Favorite?The suffragette glasses, or Steve Trevor’s activewear? Movie Review: Wonder Woman Is a Star Turn for Gal GadotBut the rest is pretty clunky. The Wonder Woman Sequel Will Probably Be Set in Modern TimesWe will not see Diana Prince in the Mad Men era, unfortunately. Lebanon Bans Wonder Woman Because Gal Gadot Is IsraeliAbout two hours before the movie played, the Lebanese government reportedly yanked the film. New Wonder Woman Trailer Gives Us the Lasso of Truth and Doctor PoisonYou can’t handle the Lasso of Truth. The Next Wonder Woman Trailer Is Here, Hera Be PraisedDiana goes to war. 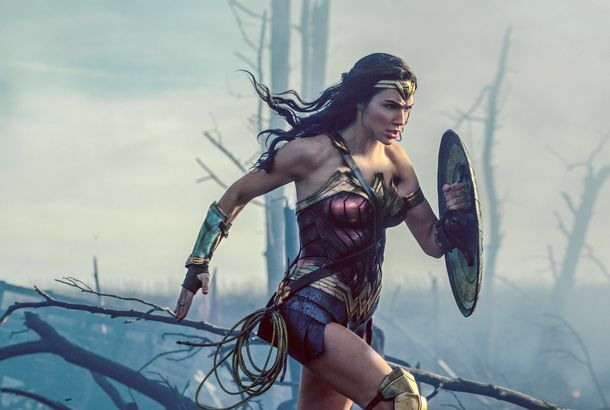 UN Staffers Protest Wonder Woman As Ambassador More than 600 staffers have signed a petition, and others engaged in a silent protest. Kimmel Loses It Over Gal Gadot’s Breast QuestionDoes the DC costume department only employ sadists? Here’s Your First Look at the Wonder Woman Movie“We’re going to see her coming of age,” says star Gal Gadot.